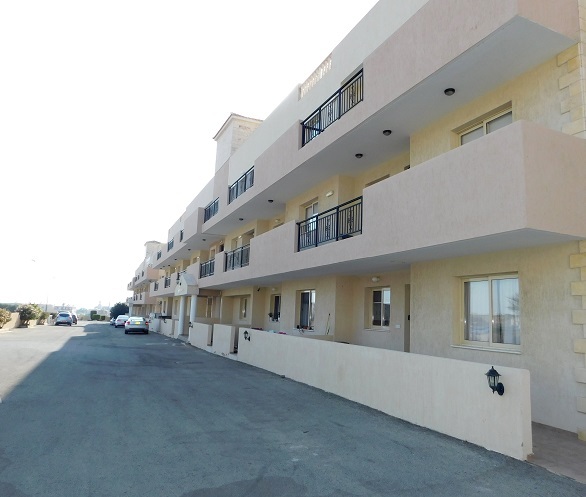 Project Features: A fantastic prestigious complex comprising of spacious apartments and townhouses, at a prime location. 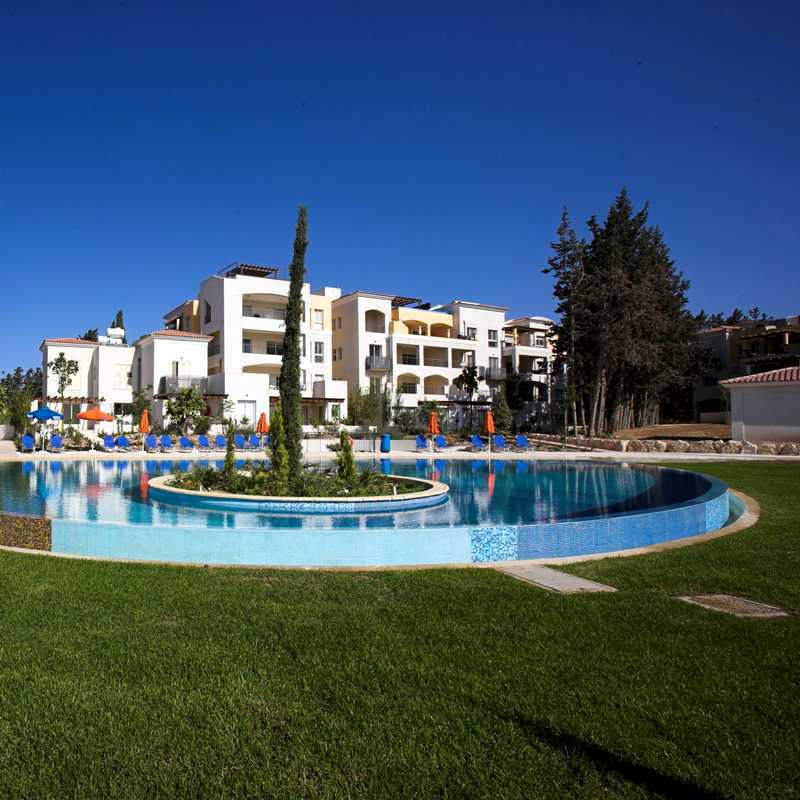 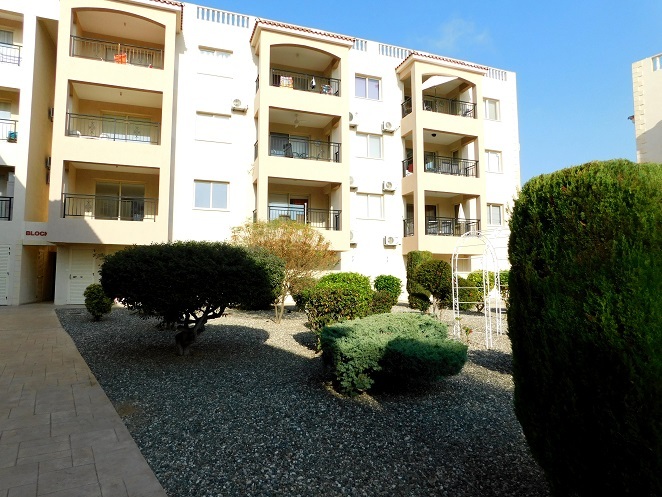 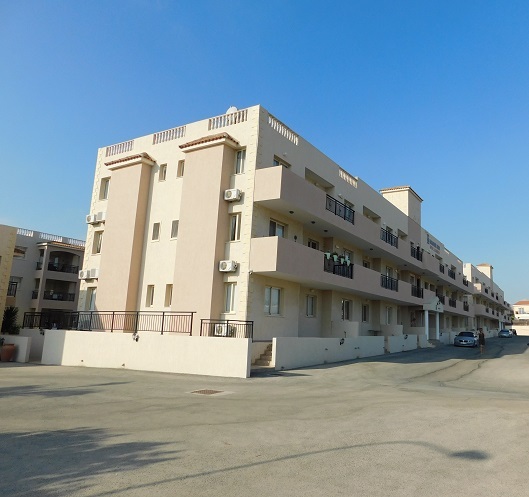 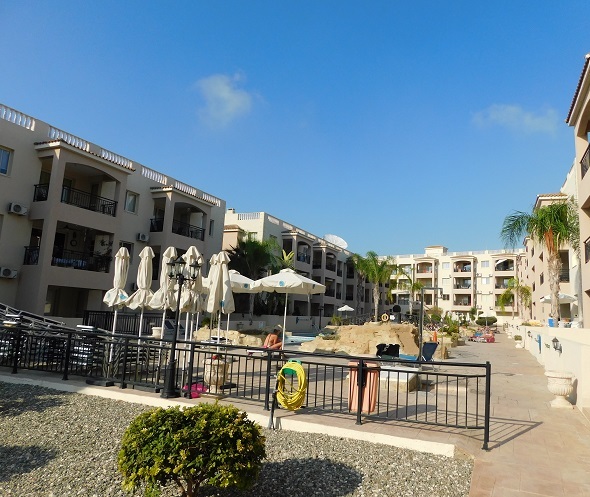 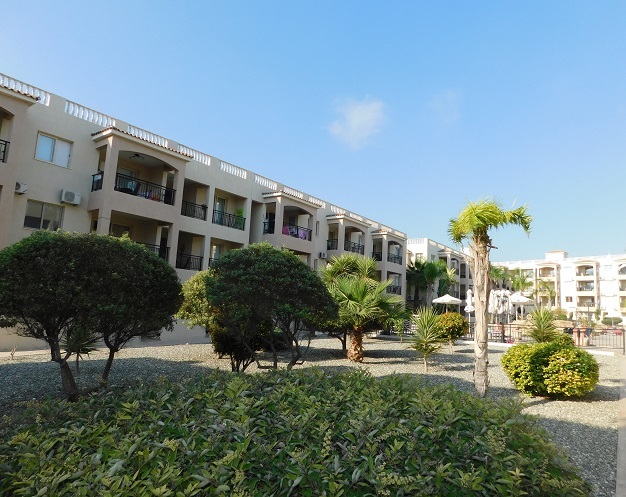 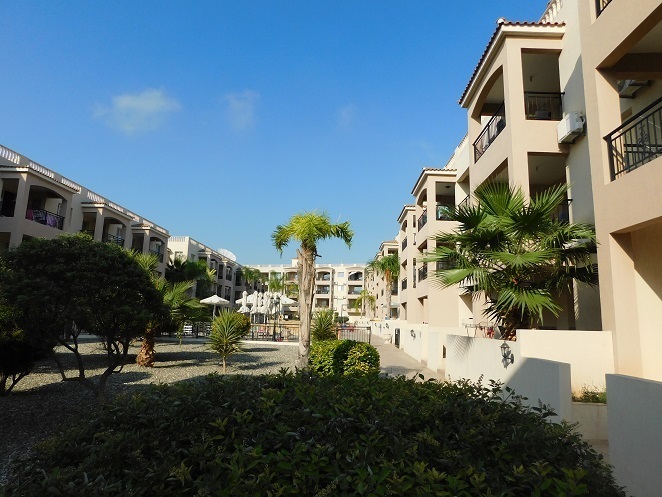 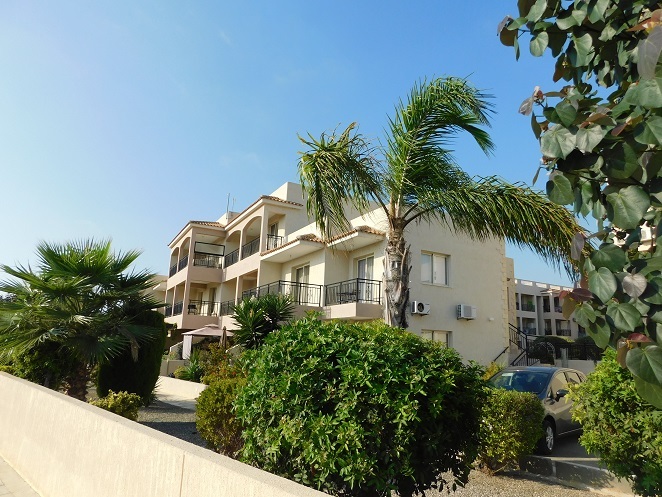 Walking distance to all the amenities, to the beach and to Pafos centre. 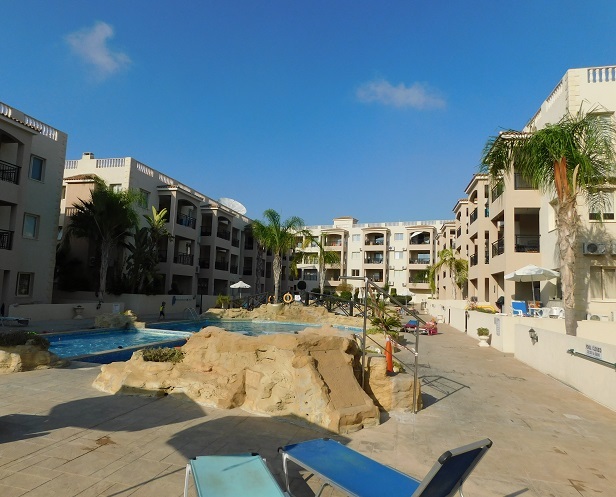 Large communal swimming pools, designed with rock creations and with waterfall features. 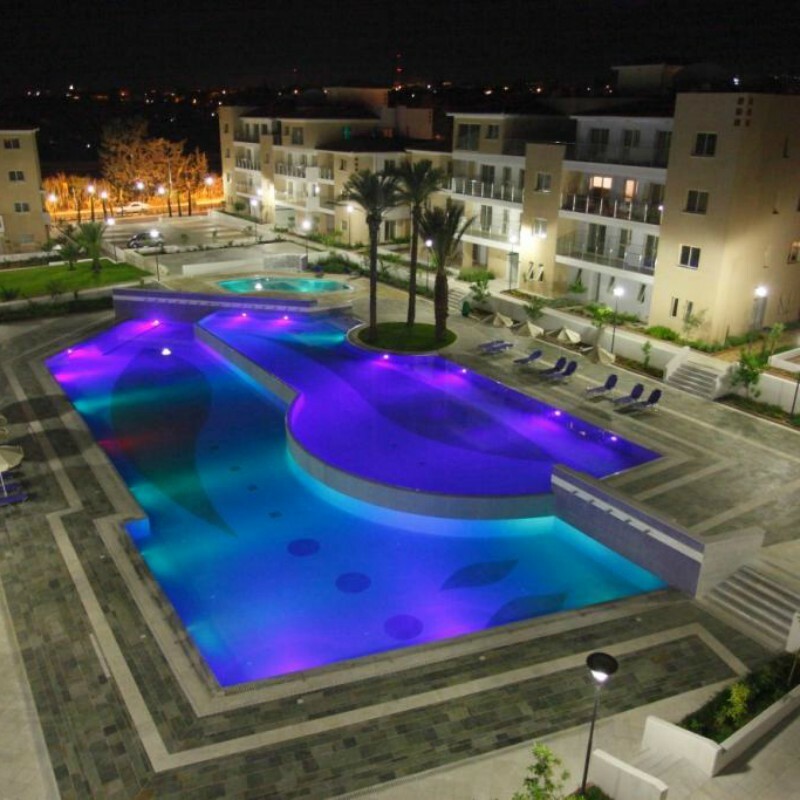 A kids pool with outdoor Jacuzzi and gym facilities. 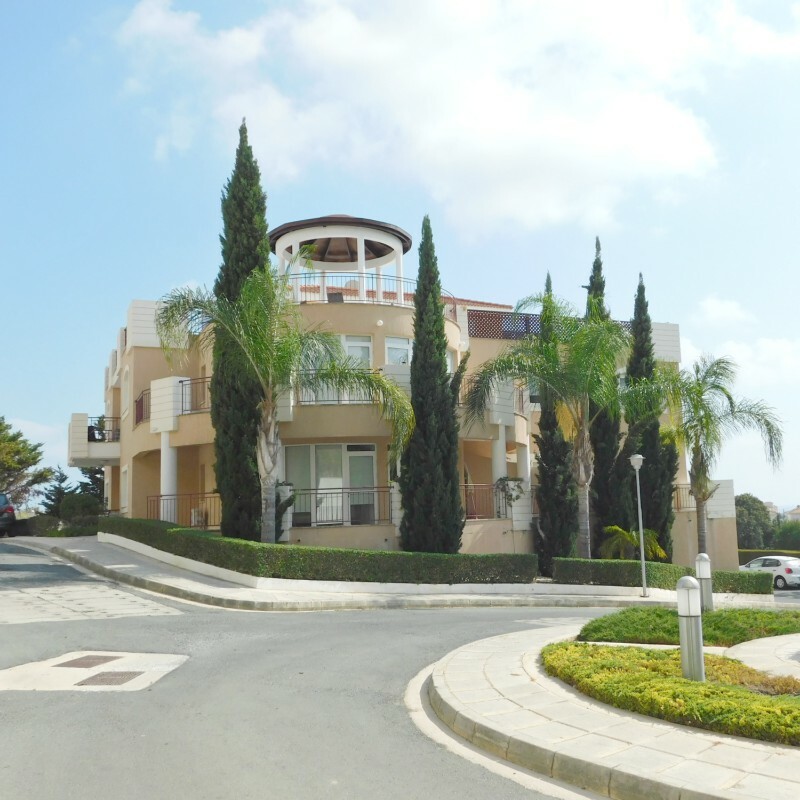 Fantastic location, outstanding design and perfect choice. 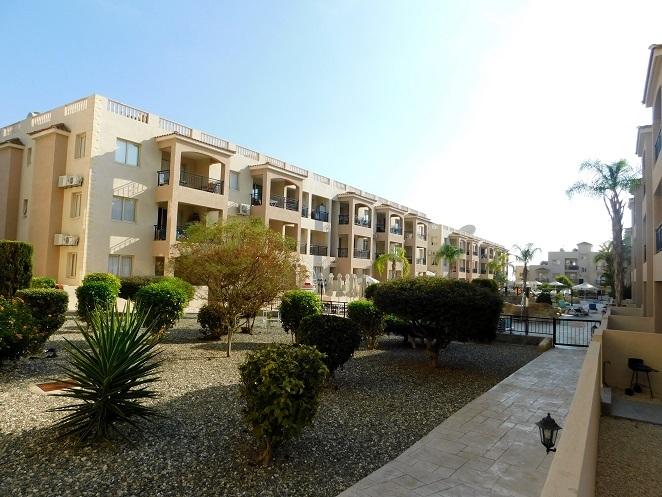 Property Features: This 2 bedroom apartment on the features an open plan living/dining area, and a fully equipped kitchen. 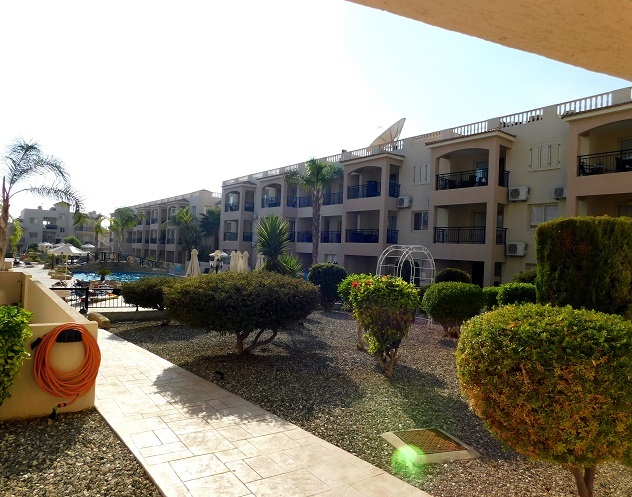 Patio of the lounge, gives access to a covered balcony offering excellent views of the pool. 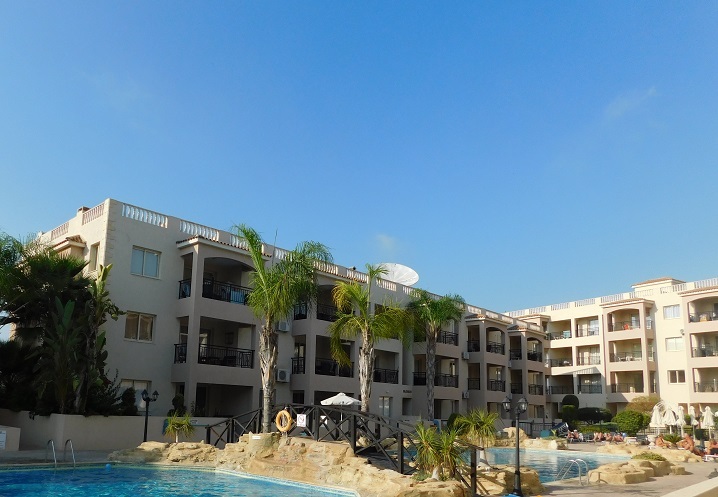 The property also comprises 2 double bedrooms with fitted wardrobes and a family bathroom. 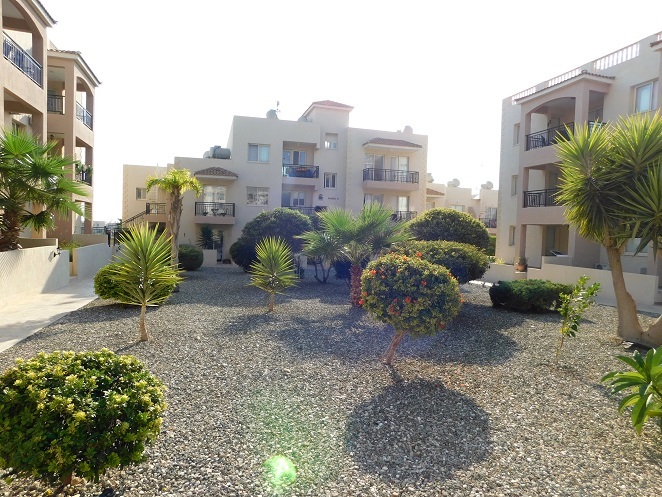 The property is fully furnished and is kept in an excellent condition.Title deeds available.